U.S. Partnership Tax Returns | Philip Stein & Assoc. When it comes to preparing Partnership Tax Returns, we provide a full-scale service, ensuring our clients remain compliant and are filing in the most efficient way. This includes real estate partnerships or any other partnership arrangement that requires filing a partnership return. 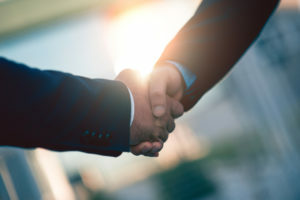 We help our clients beginning with the formation of their U.S. Partnership, including obtaining an EIN number for the partnership, the creation of the LLC, as well as filing the yearly returns. Our team will work as an intermediary between you and your U.S. investors in answering any questions they may have. Our team of experts will determine if there is a Federal and/or State filing requirement and file the returns accordingly. We also prepare proforma K-1’s for U.S. partners investing in foreign partnerships that do not have a U.S. filing requirement.